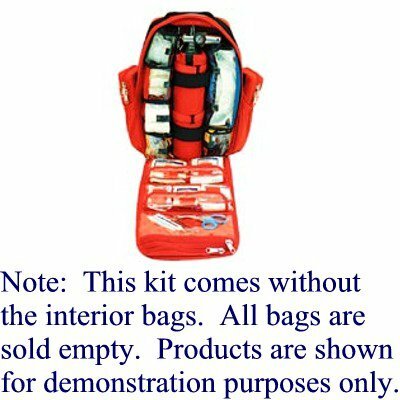 EMS Urban Rescue Trauma backpack is empty, with no pockets or cylinder sleeve. 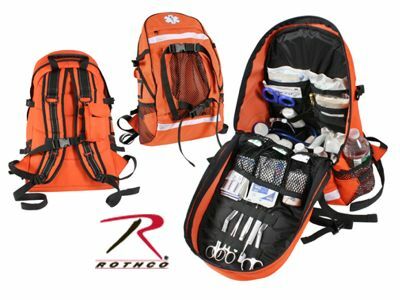 A true rescue back pack with a wide variety of uses from the mountains, to air service, or a squad. Main compartment is fully padded with closed cell foam for protection. All internal pockets are held in place by Velcro and are removable. 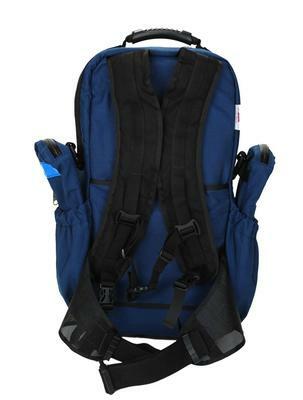 The backpack has a web carrying handle and padded contoured shoulder straps, chest strap and waist strap. 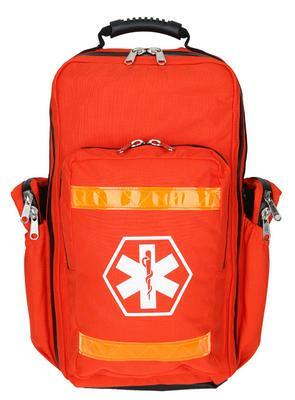 A false back allows for storage of shoulder straps when not needed. 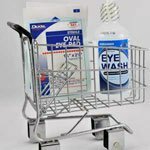 The front outside has a zippered storage compartment 10" W x 15" H x 3" D. On each side is a removable pocket 5" W x 11" H x 2" D. 3M® Scotchlite® Reflective Material strips are sewn on three sides. Made of 1000 denier Cordura?? nylon with a #10 YKK heavy duty self repairing nylon zipper. 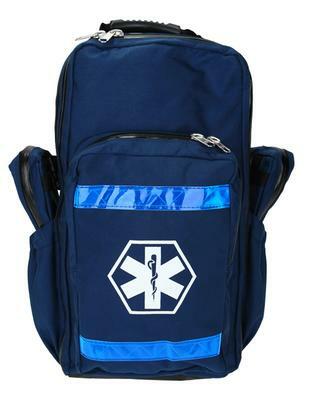 The Black does not have a "Star of Life" or reflective trim. 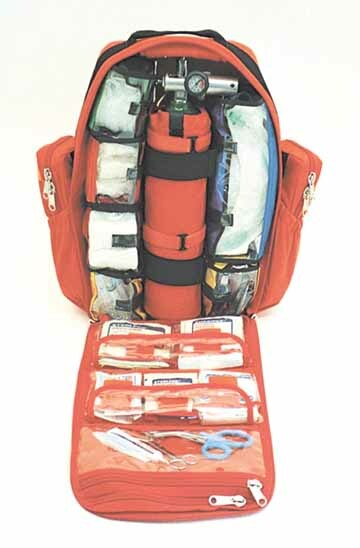 The main compartment flap has an 18" slot pocket and six attached clear vinyl compartments. Will hold a "C" or "D" size oxygen sleeve or may be rearranged without an oxygen tank. Size: 11" W x 20" H x 6" D.